The USGS Topographic Base Map from The National Map. 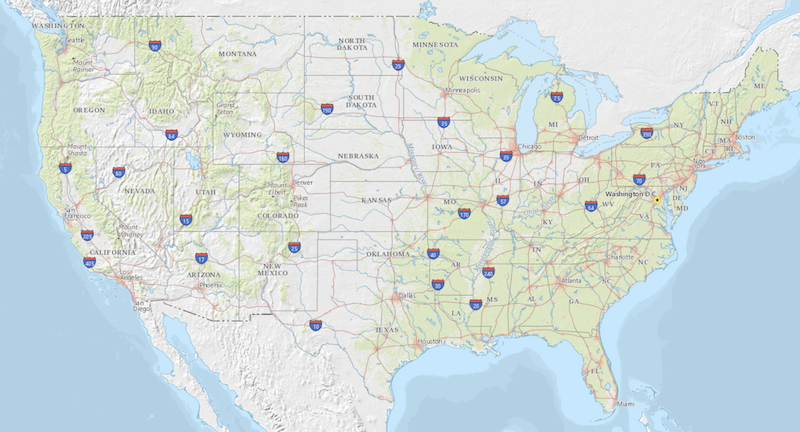 This tile cached web map service combines the most current data services (Boundaries, Names, Transportation, Elevation, Hydrography, Land Cover and others) that make up The National Map and displays them in a Topographic view. New contours generated from the National Map US Topo product are included and are visible along with other data down to the 1:18,000 zoom scale. Browse graphic showing US representation at small scale.